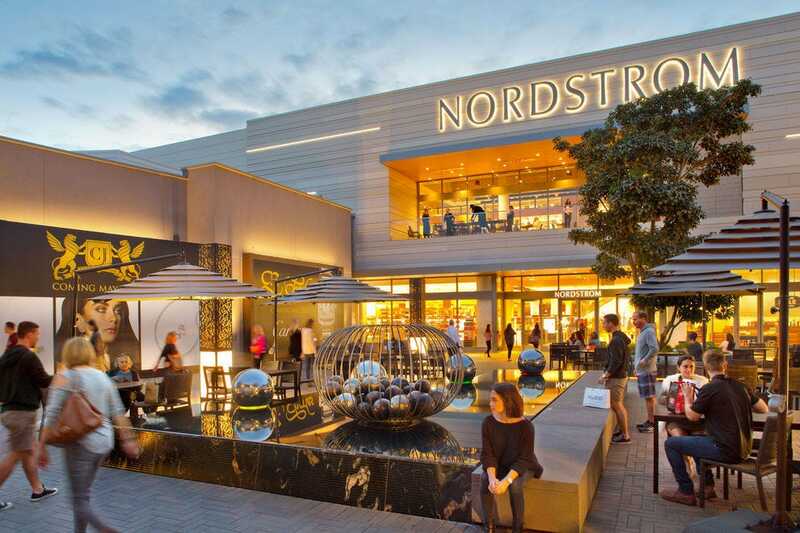 As many residents will tell you, the San Diego shopping scene keeps getting better and better. Major shopping malls have experienced aesthetic facelifts and the addition of more chic brands. Pockets of shopping scattered throughout the county are also worth a visit. Westfield UTC's renovation has received rave reviews with the addition of even more internationally-recognized brands and specialty dining, including San Diego's only Din Tai Fung. Fashion Valley is still a favorite as well. The two-story mall is anchored by the county's only Neiman Marcus and Bloomingdale's stores as well as Nordstrom and Macy's. In between the anchors, shoppers can find J.Crew, H&M, Prada, Louis Vuitton, Williams-Sonoma and other favorites. La Jolla's Prospect Street, known as San Diego's "Rodeo Drive," offers dozens of shops featuring designer apparel, art and fine jewelry. Shoppers will find mostly one-of-a-kind boutiques here though bigger brands such as Kate Spade, Lululemon and even Sur la Table are here. Almost anything you could possibly have the hankering to buy can be found in San Diego. Here are the best places to go to. 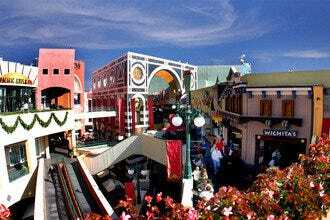 The colorful and whimsical architecture of Horton Plaza sets it apart from any shopping mall in the region. 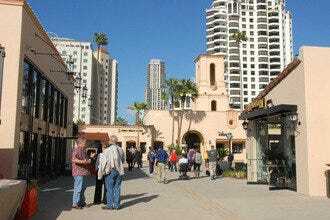 The complex has become somewhat of a San Diego icon since its construction in the 1980s. It is credited with jumpstarting the revival of San Diego's Gaslamp Quarter and continues to appeal to visitors alike to this day. Within its confines you will find major retailers in addition to a wide array of shops, eateries, and restaurants, making it a popular noontime stop for downtown workers. The complex also boasts a movie complex and the Lyceum Theatre. It's been recently sold and its fate is in question, but it remains open for now and the best shopping mall in the downtown area. This 14-acre waterfront village features over 50 specialty shops and galleries. Some of the items you'll find include handmade soaps, nautical collectibles, home accessories, magic tricks, jewelry, hot sauces, toys, sportswear, books, decorative tiles, kites, music boxes, coffee beans and hammocks. All the shopping may leave you a bit hungry but never fear. Dining options include gourmet restaurants, burger and pizza joints, ice cream shops and FROST ME gourmet cupcakes. 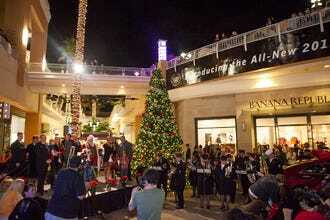 The kids and non-shoppers are entertained by the carousel or various live performances set to a gorgeous backdrop of ocean water. Seaport Village now also includes the revitalized Headquarters for more upscale shopping and dining options. 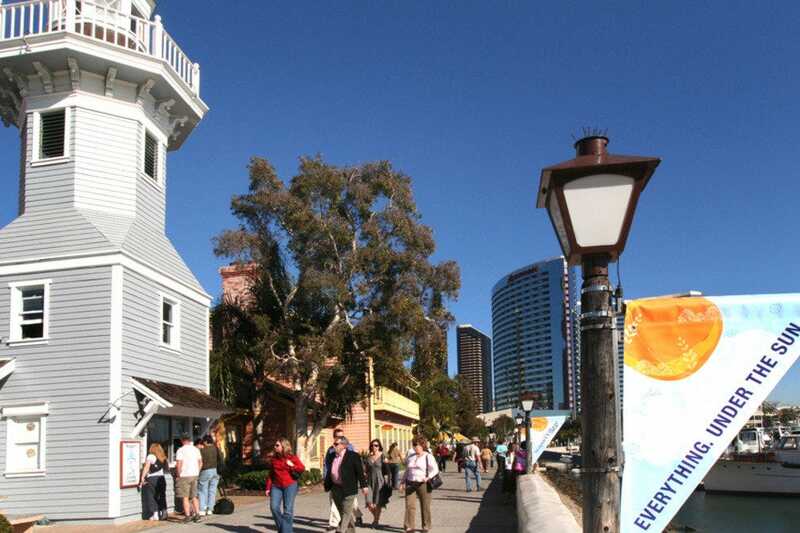 A favorite of locals and tourists for decades, San Diego's Old Town State Park not only offers a glimpse into the city's colorful past but houses a wide selection of specialty shops offering merchandise from all over the world, with an emphasis on goods from Mexico. The shopper can find everything from hand-painted clay pots, fine cigars, and Indian jewelry to Western wear and wide-brimmed sombreros. The Bazaar del Mundo complex houses nine shops with an emphasis on products from South of the Border. The Old Town Market encompasses about 40 shops selling an eclectic mix of merchandise from around the world. 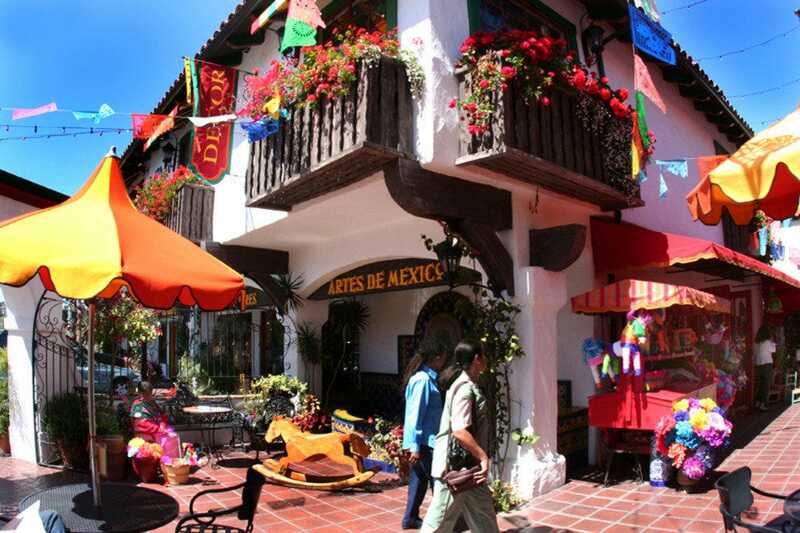 Cedros Avenue Design District is located in Solana Beach between the streets Via de la Valle and Lomas Santa Fe. Its 2 1/2 blocks consist of more than 85 shops, restaurants, spas and boutiques. You'll find everything from books, maternity clothes, pet supplies, home decor to jewelry. World-renowned architects and interior designers have offices here. On Sundays from 12:00 pm - 4:00 pm, there's even a Farmer's Market at the south end. It's also within a quick walk of the Amtrak train station. Start at Claire's on Cedros for amazing pre-shopping pancakes. This area overall has a casual vibe. 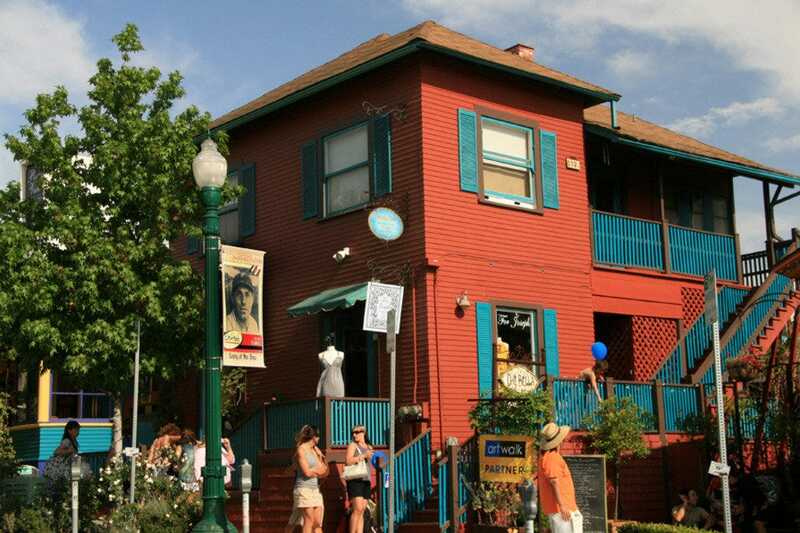 Prospect Street overlooks the Pacific Ocean and is lined with small specialty shops, boutiques, antique emporiums and art galleries. In addition to offering elegant, designer fashions in sophisticated apparel shops, La Jolla is also known for its exquisite and original fine jewelry with magnificent and brilliant gems. Detour from Prospect Street to the shops on Girard where local favorites including Warwick's book store, Adelaide's and even some brand name labels like Kate Spade and Lululemon. Other fun boutiques include Hi Sweetheart and Sweet Paper for gifts. For clothes look to Pomegranate and Lola. Shopping in La Jolla is rather low-key and easily done on one side of a meal. The famous seals are nearby, too. 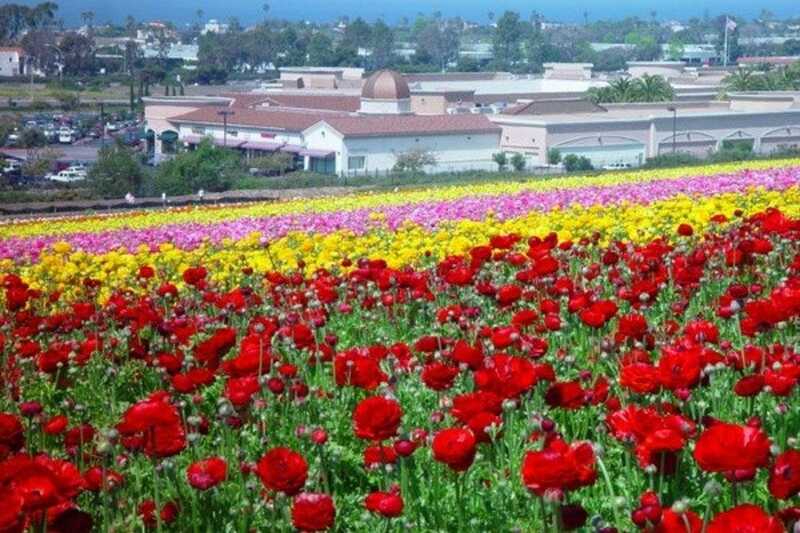 Flower Hill Promenade is a popular shopping area east of the I-5 freeway in Del Mar. Here, shoppers will find a low-key, easy to navigate, multi-level outdoor environment filled with specialty boutiques ranging from high-end cheese to cigars along to luggage and upscale women's clothing. Flower Hill not only has a brand new Whole Foods Market, but also the very popular CUCINA enoteca Italian restaurant, Nothing Bundt cakes and other places to grab a bite to eat. Stop into Sweetpea for children's clothing, Annmarie D'Ercole for some spectacular jewelry, or lipstick to feel good about at Katherine Natural Cosmetics. San Diego's Little Italy is a delightful combination of urban chic coupled with the history and tradition of Italian and Sicilian immigrants who settled on its shores in the early 20th century. It hosts two major festivals each year: the Sicilian Festival in May and the Little Italy Festa in October. It's a colorful and festive district that's fun just to stroll through, but if shopping is on your radar, there are numerous art galleries, home decor stores and even antique dealers. Italian eateries predominate, of course, but there are plenty of alternatives if your appetite leans toward other cuisines. The Carlsbad Premium Outlets are located just west of The Flower Fields and east of the I-5, near LEGOLAND. This outlet mall has over 90 stores and restaurants offering an average savings of between 25%-65% off of retail prices. Sometimes, you can even find current season merchandise at a discount. 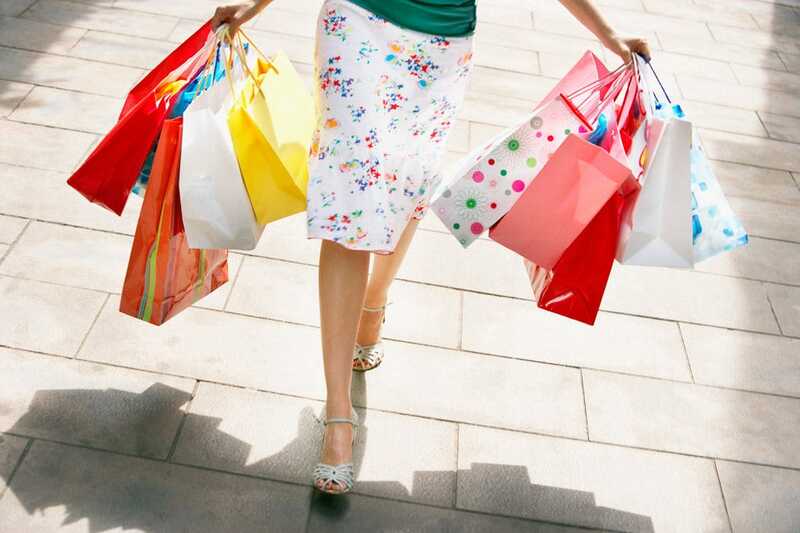 Popular outlet stores include Barney's New York, Banana Republic, Gap, Stride Rite, Coach, Skechers and Crate and Barrel. There's plenty of fast-casual dining including a Ruby's Diner, Rubio's and Blaze Pizza. There is plenty of parking around the mall and even a handful of stores like St. John now across the street. Fashion Valley, centrally-located in San Diego's Mission Valley district, is a shopper's delight because of its 200+ stores and restaurants, and outdoor ambiance. The mall houses Macy's, Nordstrom, Tiffany & Co., Bloomingdales, and San Diego's only Neiman Marcus in addition to luxe names like Louis Vuitton, Prada, Gucci, Henri Bendel and others. Excellent outdoor cafes and restaurants are also interspersed throughout the complex. The mall is constantly updated to include hot brand names and boasts a wide variety of stores. Whether you need a designer dress for a black tie affair or a kid's birthday present, you can find it here. Be sure to sign up for the mobile shopper club to be notified of deals by text. 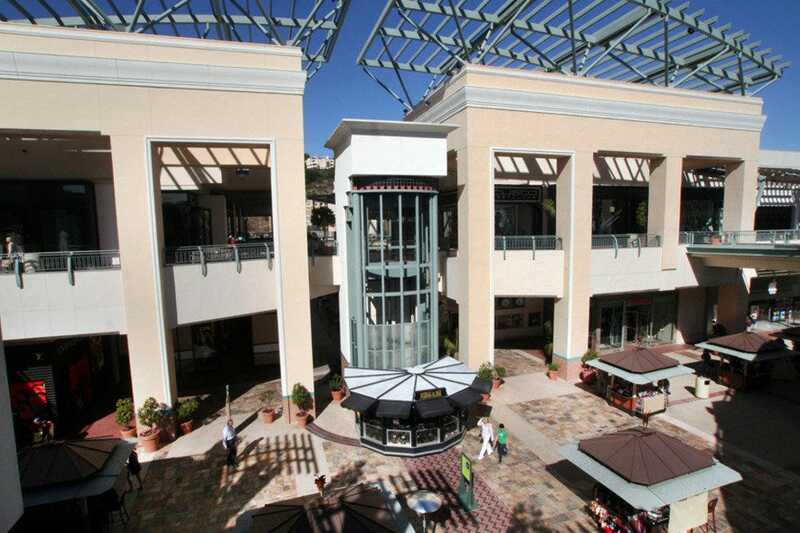 Westfield UTC is an upscale, open-air shopping complex located in San Diego's Golden Triangle, west of La Jolla. Macy's and Nordstrom are anchors but the last year has brought in many more chic international brands. Shop high-end favorites like Tiffany & Co, J.Crew, Jo Malone or fast-fashion in the massive new H&M store. Multiple seating areas including tons of succulent walls, sculptures and chic furniture make it a place where people actually want to hang out. In addition, enjoy the upscale movie theater, new parking structure, fitness outlets, live music and more. Restaurants include Tender Greens, Shake Shack, Great Maple, Larsen's Steakhouse, Din Tai Fung, Joe and the Juice and others. There's even a speakeasy.